I’ve compiled all the homesteading hacks I know to help you live a simple and convenient homesteading life! Who wishes they had some more free time? I bet you’re raising your hand. We’re all trying to accomplish so much at once! I know I feel extra occupied and always rushed for time more often than not, so when I bump into something that either lends me more time or saves me from even a bit of stress, I’m all over it! So here I am, compiling the best of the best of homesteading hacks I’ve come across to share with you. So my fellow homesteaders, fasten your seat belt and get ready to change your life with these many homesteading hacks sure to make your life simpler and happier! Raising livestock can be costly when it comes to feeding time. Additionally, there is also the awful truth about commercial feeds having harmful chemicals that can be dangerous not just to your animals but also to you. This is why every homesteader must learn how to make homemade farm feed. Building your own chicken coop shouldn’t be an arduous task. You can be assured of your chickens’ comfort and safety without having to spend a fortune. Whether you’re new to building a coop or already an expert in carpentry, building your own chicken coop is easy and simple, just follow these 4 steps to building a chicken coop. As a homesteader, upcycling is one the best thing you can master. You can exercise your creativity and you will just fall in love with the idea of being able to save. Just like this simple project of building your own chicken nesting boxes from recycled scrap materials, this is bound to be your next DIY weekend project. Once you start raising chicken, acquiring more will definitely cross your mind. Once you’re ready to have more, you can either buy chicks from a hatchery or hatch your own eggs. Then, you’ll definitely need to set up a chicken brooder to keep the little ones until they are ready to be put outside. Worry not because setting up a chicken brooder is no heavy task. Take all the time to enjoy watching your little chicks grow. If you’ve got a flock of chickens, imagine the hassle of keeping them well hydrated without an automatic watering station. Avoiding this is just a piece of cake, all you’ve got to do is build an automatic chicken watering station. It doesn’t have to be expensive and complicated, keep your flock properly hydrated with an easy to build chicken watering station. As the seasons change, so do the needs of the animals we care for. During winter you will need to be ready to give your chickens a protein boost to keep them healthy, happy to survive winter. Chickens are the most common target of any predator surrounding my homestead. Protecting them is a responsibility I seriously take to heart, as every homesteader should. And I found these 5 ways to protect chickens from fowl play very much effective and helpful here in my homestead. I hope you can apply it to your homestead too! If you’re having second thoughts about raising ducks in your homestead, well think again, because you’re missing out on the fun of having both ducks and chickens. I love these two animals in my homestead! I love my ducks, they’re good for my garden and they produce more flavorful and more nutritious eggs. So, learn how to raise ducks for your homestead now! When I decided to raise livestock in my homestead, I made sure they’d have a purpose. If by any chance you’ve decided to have your livestock as meat option, you definitely need to know the livestock’s pros and cons in order to attain the best produce. Once you decided to get goats for your homestead, it’s best to identify why you want them. Will they be for dairy, meat, or fiber? Knowing this will help you choose the best goat breed for your homestead. Who wouldn’t want their baby goats to thrive? Every animal has its own special needs, so if you want your baby goat to grow up big and strong you’ll need to know how to provide what they need. Whether you’ve got little or plenty of time to devote to your baby goats, raising them will surely be a worthwhile pursuit. Having a goat in my homestead means always having fresh milk ready. But in order to enjoy the fresh milk from your goat, every homesteader must learn how to milk a goat. This means that a fresh cup of milk is just a couple of steps away. Don’t you love the thought of it? This is a must-learn skill for every homesteader who wants to raise goats in their homestead. You don’t need to go to a veterinarian just to have your goat’s hooves trimmed. Don’t worry, it’s so simple! If you’re a goat owner you may know about ear tagging. And if you aren’t already doing it, you may want to consider starting now because it’s not just recommended, it’s mandatory. This will also help you identify who’s who, in case you have plenty in your homestead or they wander off into your neighbor’s yard. Just like any animal, goats need shelter. Learn how to build a goat house that suits your needs and preferences. If you do it yourself, you don’t need to breaking the bank or bend over backwards to give your goats the perfect home. In general, a goat’s cycle is every 18-21 days all throughout the breeding season. However, this also varies from animal to animal. You’ll know when your goat is ready to mate if you know the signs that point out if your goat is on cycle. As we all know, pigs provide one of the most widely-consumed meats. If you want them as healthy as they can be in your homestead, these 9 tips for raising healthy pigs will help you out. I’ve been following these tips for years now! Planning to get started with bee keeping? Put your best foot forward by following this helpful beginner’s guide to keeping bees. With the right foundations, you’ll be a pro in no time! Bees are essential to us because veggies, fruits, and many flowers rely on bees to pollinate. And of course, they give us my favorite—the honey! No bees, no honey! So to help the bees do their job, you might as well give them the best bee hive they deserve. It doesn’t have to be fancy and expensive, just something to keep them productive and happy! Aside from the homey, having bees in my homestead helps me boost my crop production. So if you turn your backyard into a bee haven, you won’t regret it. Keeping bees doesn’t have to be expensive at all. It can even become an amazing DIY project for up cycling. So consider keeping your bees in mason jar and you’ll always have honey handy! Fleas are darn irritating! I pity my poor pets when I see them scratching all over their bodies. It’s a good thing I don’t need to dig deep in my pocket just to get rid of them. I’ve got these basic home remedies for fleas that work just perfectly and safely for my pets. Knowing the signs and symptoms of your dog’s pain can definitely help you decide what kind of medication they need, if you can administer it yourself or contact a veterinarian. As a homesteader, I bet you’ve got dogs who are your faithful companions just like mine. So you have to learn how to treat common dog illnesses because it’s our responsibility to care for them and help them live happy, safe, and healthy. Have you ever seen your dog act crazy during thunderstorms? It’s normal, no need to panic. Loud sounds in general disturb them. Protect your dog and your investment by learning the 9 ways to calm your dogs during thunderstorms. Make your own homemade dog shampoo and avoid the harmful effects of chemical-filled commercial dog shampoos. Your dog and wallet will be safe! Teaching a farm dog to follow basic commands is an essential factor of being a pet owner. Dogs, like humans, need to get comfortable and fit in. It’s on us to teach our canine friend how to communicate. Hone these important farm dog commands and you’ll have a homestead farm dog for a long time. Skunks seem cute and totally harmless, but behind the cuteness lies its dreaded smell. Just be nice, you don’t need to harm them. Just learn these 7 reliable steps to deter them. Like a lot of homesteading hacks, soil testing doesn’t need to be expensive. Learn how to test your soil the Pioneer’s way and ensure your plants thrive. You need healthy soil for your crops to flourish. Follow the homesteader’s guide to soil improvement and use organic methods to use the least pesticides. I myself prefer this way here in my homestead! The Seed Starting Calculator is an amazing tool to help you plant seeds. Knowing the best time to plant them assures you that the crop will thrive and produce bountiful harvest. Composting is basic here in my homestead. I believe that every homesteader wants to make their garden reach its full potential. What do we need to do that? That’s where composting comes in. Learn the art of composting and help your garden produce a bountiful harvest. When doing composting you’ll also need to consider what you put in it. Just like cooking, ingredients are the key. You don’t have to throw everything in because it may harm to your plants rather than grow them. Check out these 25 best scraps that guarantee a healthy organic compost best for your garden. Giving your plants enough space to grow is essential, it can’t be too far apart to avoid waste of space, but it can’t be too close either because your plants will have to compete for nutrients. Seed tape is the key to having well-spaced plants. Why use store-bought seed tape when you can DIY? Make your own seed tape to ensure a well-spaced garden. I bet you already have the supplies readily available in your homestead! It’s very easy to make, I mastered it the first time I tried it! Pests and sudden weather changes are just two common problems when it comes to gardening. Every homesteader should have a solution to amend such condition and ensures to still be able to grow plants no matter what. A greenhouse is one perfect solution. If you’re thinking about the budget, well, you don’t have to worry because it doesn’t need to be like rubbing you. Just like this DIY homemade greenhouse made of easy to find materials or maybe you already have them. I have one like this here in my homestead, frugal, fun and absolutely easy that even a grandma like me was able to make it. Seed starting is a crucial part of your plant’s growth. Providing your seeds the best place to get started is very important but doesn’t mean it has to be fancy. We are homesteader’s, we keep it simple yet effective. This DIY bottle planter from recyclables is just one perfect example. An effective hack that only requires items found in your house yet very much useful. Homemade fertilizer from compost is way better than its commercial alternative. No harmful side effects, frugal, and you can be assured you are providing your plant’s essential nutrients helpful for their growth. I’m really loving making my own homemade fertilizer, it’s amazingly easy to make, and it comes free here in my homestead. Homesteading can be a lot easier and inexpensive if you know how to reuse, recycle, and repurpose. There’s nothing more efficient than being able to lessen the amount of waste you produce. If you are like me, always on the hunt for new ideas to try around your homestead, well, fertilize with worm castings is a must try for you! I find it very much effective in my garden. Unlike other natural fertilizers, like livestock droppings, worm casting is not hot and it can be directly added to the soil surrounding your plants, giving nourishment and a large amount of nutrient boost and without any harm of burning the roots of your plants. Having clay soil in the garden is really tough. However, you should not let this stop you from creating a garden haven. With just little work to do, you can still turn clay soil into a life-giving healthy soil can be great for any kinds of plants and even veggies. So gather your supplies, actually, you just need 4 to get start working on amending your clay soil. I have some sort of root vegetables here in my homestead. These are the kind of crops I don’t want to miss having every harvest season. When we’re just getting started, I found myself struggling with having root crops due to limited space, but then I came across mound gardening, and VOILA it solved my problem. Mound gardening maximizes space and provides crops enough space in order not to drown in high-water areas. If you want root vegetables in the homestead but got small space, I would suggest you try mound gardening. During winter, my garden sleeps, except for my indoor garden. I have very few things to keep me busy in there and that’s including the preparation of my garden soil for spring. This is a very easy procedure and I’ve been doing this for years now. All you need are eggshells and coffee grounds. I got a jar in my kitchen collecting these two every morning and when the jar is full, I simply dig a hole in my tomato garden soil and put it there then cover it with soil. When winter ends and spring arrives, the eggs and coffee grounds would have decomposed leaving all the amazing nutrients for my tomato to feast on. If you think composting is just good for outdoors, well you’re dead wrong. You can also make a DIY kitchen compost bin that works even in small spaces. All you need is a container and your compost materials. Space should not stop you from doing composting and reducing your waste. We all wanted to have a successful fall harvest. The season of having a bountiful harvest will bring so much joy to any homestead and one essential factor every homesteader should consider is choosing the right crop that will thrive. Late summer is a planting season here in my homestead, however, as early as winter I prepare the crops I want to have for fall. If you want to have a successful fall harvest, choose some crops perfect for fall harvest. Peppers grow large in size and without enough space in the garden, they can block sunlight for the rest of your plants. If you have this kind of issue with peppers, but still want to have them in your homestead, then you should try growing peppers in containers. Gardening is not just an adult thing. Whenever my grandkids are around I made sure we get to bond together in my garden allowing them to get dirty and have fun. There are really lots of kids gardening ideas in which you can teach them how to appreciate nature itself and producing their own food. You don’t really need to buy seeds every time you want to grow some vegetables. There are vegetables you can grow from scraps. All you in need is a portion of these vegetables and they’ll start growing again. If you’re looking for ways to conserve water, stop weeds, and have the best crop production, try this amazing gardening solution plastic mulching. Using the plastic can give you a head start for an early harvesting than you would have, particularly the yellow, sweet corn. But this technique can also be converted to protect other vegetables such as tasty sweet potatoes or squash that normally flourish in a greenhouse like environments. Every homesteader got his/her own method of growing crops. Tomatoes are not an exception if you are just getting started or want a new way of growing your homestead staple tomatoes, here I’ve got the best way to grow tomatoes in your homestead. Who knows this might be the perfect method for you to have a vine ripe with juicy tomatoes. Hay bale gardening is a process effortless food production, without the ever annoying weeds, less watering and no fertilizer. If that sounds like a dream come true for you, then you must try it now! When your plant leaves are turning yellow, they are in pain and you are on the verge of losing your precious plant. Before it’s too late find out what the culprits are and fix your plant’s leaves to ensure a beautiful luscious garden for every homesteader to enjoy. Having microgreens whole year round here in my homestead is such a wonderful bliss. These little plants are super easy to grow and use up very tiny space. In fact, you can even grow it in some recyclables. If you want to enjoy microgreens in your homestead let this microgreens growing guide do the trick for you. It works wonderfully for me, so there should be no reason for this not to work for you. Pruning your tomatoes will allow you to have beautiful tomatoes all summer long. I bet every homesteader loves that! Learn how to prune tomatoes and enjoy the benefits it brings to your homestead. Why do I want peaches readily available in my homestead? Well, they got soft flesh, fuzzy texture, and the sweet smell. Yummy-licious isn’t it? Buying peaches may be costly, well, this the main reason why I grow them. Plus growing them myself gives me total control of my final product, so no junkie artificial fertilizers in them. If you got same thoughts as mine, then, you should grow your own peaches. Who says fruit trees can only be grown in a vast backyard? That idea has long been gone, know the 7 secrets to growing fruit trees in containers and make fruits accessible at all times. Container gardening is the perfect solution for small spaces. It’s an excellent space saving option that can still provide you a bountiful harvest to savor. Know the container garden tips for homesteaders and maximize your homestead space to the fullest. I loved avocados! They’re delicious and nutritious too! Growing avocados does not just involve putting them into the ground to let them grow. Learn some simple tricks on how to grow an avocado tree so you can start munching on this delicious fruit in no time. Harvesting fruit trees on the homestead is an amazing idea. Start growing fruit trees from seeds, I bet your eating fruits every day, so your seeds comes free, and enjoy the advantages of homegrown products, save money, and even turn it into a profit. Gardening is not a task you can do with bare hands. It needs some help with tools, not just any tools but gardening tools you can use to work with ease and comfort. Check out these 23 gardening tools and find out why they are perfect to have in your homestead. A frugal homesteader must be interested in learning new skills. Building your own DIY indoor grow light is one perfect example that you are trying to lessen all your expenses while enjoying long lasting benefits of being able to grow your own food even indoors. This DIY indoor grow light will give new skills you can use in making your homestead more self-sufficient in the years to come. Growing an indoor herb garden is fun, easy, economical. Plus you get to have herb all year round, even the dead winter can’t stop you. I would say that here in my homestead, this is my favorite winter activity. As herbs are good for food and they’re beautiful enough to become a perfect ornament around your house. With some helpful tips, right tools, and the ideal herb, I bet you can easily get started off growing your own indoor herb garden. If you want to start early in your gardening, better plant your seed indoors. To help your seeds grow efficiently indoors you need to provide them some extra lighting, but the one that doesn’t ruin your budget. That’s why I love anything DIY, it gives absolute control in my spending. Here’s an easy DIY indoor grow lights to start seeds best in your homestead. Nothing compares to the amazing flavor and aroma of well-smoked food. While smoking requires a degree of skill and knowledge, it’s absolutely doable. Here’s how to be a culinary master of smoked meat! Transform an empty wall into an amazing storage space, use wasted space, and learn more creative ways to store your canned food! I can’t wait to try these out for my own homestead. Farmer’s cheese provides richness with only a bit of cheesy-ness but adds an essential depth of flavor, that’s I why I enjoy including it to any filling I make. When I found out I can easily make it with only 2 ingredients, I was super excited and immediately headed to my kitchen to check what I have. And yes, I’ve got what it needs, whole milk and vinegar. Since then, I made farmer’s cheese available here in my homestead. Buttermilk adds that appetizing flavor to so many dishes. The homestead is a place where we definitely just want to make our own rather than to buy and imagine the hassle of going to a grocery for just buying 1 important ingredient. Homemade buttermilk substitute is very easy to prepare and totally cost effective, plus knowing how to do it saves you a troubling trip to the store. I’ve got goats so I’ve taught myself how to make a goat cheese to enjoy goat’s milk at its finest. Goat cheese is simply the best! It really is delicious and easy to make. So if you’ve got goats on your homestead, you should give it a try! Canning is essential in homesteading because it’s the perfect way to preserve your crops. It is actually a staple here in my homestead. And yes, there are lots of canning recipes around but the question is do you know how to use your canning supplies. To ensure you are able to canned properly and give it a long shelf life follow these simple tips on how to use your canning supplies. Need a canning kit? Click here to get yours! Milk is an excellent source of vitamins, proteins, and nutrients including itamin D, and calcium, however, it doesn’t keep long. If you need to have a continuous supply of milk, learn how to prepare milk for survival and don’t lose your very own supply no matter what the condition is outside. If you are generous to your birds they’ll return the favor to you. Producing eggs that sometimes you’ll find it hard to consume before it gets all rotten and become inedible. To avoid having rotten eggs, a must know hack in any homestead is freezing eggs to last longer. This will allow you to have fresh eggs every day! Have you ever tried baking without an oven? In today’s fast-paced world oven is an essential machinery for cooking. But a homesteader must learn how to cook without the comfort any machinery, what if your oven has malfunctioned or it run out of gas. You should try baking without an oven one of these days and taste the difference. I have tried it many times and still doing it! I would say building this homemade pallet smoker is not for me, but my husband made one for our homestead. This is just one of the many great benefits of having a lovable husband who loves to spoil me! We enjoy some smoked meat from time to time. I enjoy lots of cooking in my cast iron skillet. I find them a very versatile cooking tool. If you are in doubt of having or using a cast iron skillet, here’re what you can and can’t do with cast iron skillet so you can start enjoying savory meals. For a beginner homesteader, using a cast iron skillet may pose a bit of a challenge. But it is not something to be terrified about because it’s very easy to learn how to season and restore your cast iron skillets and pans so it can become a primary cooking tool for your homestead. Cast iron skillets are inexpensive and almost indestructible that it cook can anything, perfect for every homestead kitchen. As a homesteader, it simply means you have access to fresh produce almost 24/7. That’s why having the knowledge of how to cook them perfectly is important. I enjoy grilling vegetables and I’ve been doing it for years now so I’ve had plenty of experience on how to do it properly and perfectly every time. If you love grilled vegetables there is no reason for you not to learn how to do it like a pro and serve a satisfying and savory meal in inviting colors packed with nutrients and vitamins. Making your own vinegar implies there won’t be any junky additives added to it, the vinegar will taste better since you can adjust its taste to your preference. And all you will need are organically grown apples, dark glass containers and a little bit of patience. Sound’s easy enough, you’d better get started. The kitchen is a common gathering area, so providing it some time each day to keep it clean and organize helps a lot to make the rest of the day run smoothly. I don’t how you keep your kitchen clean, but I really found these 10 steps to a spotless kitchen perfect for my homestead. Yes, we’ve got refrigerator here in our homestead. It’s definitely helpful when it comes to storing our products. But, how efficient are you when it comes to organizing what’s in your refrigerator to avoid early spoilage? If you think, you need some help in that area, make your homestead more efficient by simply applying these amazingly helpful tips on how to organize your refrigerator. Every food requires a different amount of time and little variations on the dehydration process. Using this method means you can enjoy your favorite foods even when they’re not in season. Herbs have long been used as natural medicines and indeed they are the best homemade remedies ever. Learn how to make herbal infusions, extracts, salves, tinctures, and poultices so you can possibly heal yourself and your loved ones naturally before you head to the drug store. Cleaning the entire house can sometimes be a mundane task. I’m really glad I’m able to do it 10 minutes. Learn how to clean your house in just 10 minutes, just in case you only have a 10-minute notice from your guests. If you’ve got a patio or deck, you should feel very fortunate. It’s a perfect spot for a sanctuary after retiring from the day’s work and just relax or entertain guest there. To make the patio or deck a perfect spot, you need to have the right furniture. And furniture can be expensive, so you need to provide proper care and maintenance to prolong its life and not waste money on buying new ones. Here in my homestead, I made sure that more often than not I check my outdoor furniture and I’ve got these caring tips for outdoor furniture that really works well for them. Repurposing and recycling are skills every homesteader must know. It’s an amazing way to save money and to conserve resources. Look around your homestead and identify which is which and find out how to repurpose well in order not to waste your effort. Having mold in your home can be a primary problem. Prevent the problem before it starts, or get rid of molds straight up with these green cleaning remedies. To work comfortably in any homestead, you need the right tools to help you out. Yah, there’s no a fancy contraption around here in my homestead but we’ve got right tools that made our work easier and simpler. I love everything about natural cleaners, easy to make, inexpensive, customizable to my liking. Start using DIY natural household cleaners in your homestead and experience the big difference. Admit it or not, there are lazy moments in our life when we just everything to be fast and easy. Throw anything away without any second thoughts that they might be still useful in any other way. The next time you throw something, think again because it may one these 20 things you should never throw away. What’s that stinky smell? I don’t tolerate that here in my homestead, it’s embarrassing and uncomfortable. I know sometimes it can be a hassle to get rid of but still, the best remedy for stinky smell is a natural way. Do you really need to flush it out every time you use your toilet? Remember water is very important it’s the basic of all the basics. The next time you flush consider asking “Why Flush“? There are lots of ways on which you can make your own laundry detergent, so there’s really no need to buy the commercial once. But my favorite is this recipe for DIY lavender laundry detergent. It smells so good it makes my laundry day relaxing and enjoyable. How do you dry your clothes? If you got that fancy clothes dryer, good for you! But then I believe for us homesteaders and even those who are not, we must practice line drying clothes, it has other great benefits other than saving money on electricity. Believe me, homesteading hacks like this one will change your life! Almost every homeowner hates mice or any rodents there is, but we don’t need to dread them as they are also part of the cycle of life. It is still best to practice getting rid of mice humanely and naturally since commercial alternatives are sometimes poisonous to other pets. This is why I love reading homesteading hacks because it gives you the option to do things alternatively. Homesteading is not all about working in your garden, preserving your foods, and the likes. It also offers plenty of opportunities to have fun. If you’ve got a backyard and energetic children around, then building a zip line on your homestead will become a sure hit. Knowing how to produce fire can mean a lot in homesteading and in a survival scenario. Make yourself ready for any situation in your homestead by knowing two or more tricks on how to start a fire because you’ll never know when you’ll need it. Homesteaders do not settle for only one homemade product to do over and over again. We thrive on experimenting and exploring new products that are best for our homestead. Whether you are a beginner or an experienced homesteader you’ll find these 31 homemade home products useful and worth trying for your homestead. Even in a homestead setting we still love to decorate. And what we love best is having decorations that won’t hurt our wallet. Here we’ve got 54 dollar store crafts for the homestead you must try to invest your creativity on. Getting rid of flies is a must, but it should done the natural way. These 9 natural ways to get rid of flies are doable, and I bet you got what you need ready in your homestead. Why settle for a mosquito repellant you can buy commercially when your homestead is full of Mother Nature’s gift to fighting off the mosquito? If you don’t have these plants available better think again and start growing them in your homestead now. If you have trouble sleeping, you’ll definitely have some ugly bags under your eyes. Even as a simple homesteader that’s something we don’t want to keep, so take a look at these 21 home remedies for dark under eye circles and choose which will suit you best, mine is the raw potato. If you or a member of your family is suffering from the itchiness of dandruff, then try one of these 5 natural ways to get rid of dandruff and be free from it once and for all. Highlighting your hair definitely helps hide your age, however, commercial medicine have some little secrets that can be harmful to you. Since we love all natural beauty hacks, here are DIY natural highlights you can do at home. Body odor, embarrassing! DIY deodorant is effective, good for you and for the environment. There’s no way you should pass on this DIY deodorant homemade recipe. Dreaming of that smooth, soft, glowing healthy skin? Well, I got this homemade sugar scrub recipe that’s amazingly helpful for my aging skin. Never again that you’ll wake up with a dry as sand skin. Lotion bars are something to add to have an amazing luxurious bath, however, it can cost an arm and leg. If you want the heavenly bath on a budget this homemade lotion bars recipe is your baby. Here’s another bath hack that I really enjoy making here in my homestead. Unlimited possibilities for customization. Play and explore when making DIY bath bombs so you can always have an unforgettable bath experience. Lavender is a natural scent that has anti-anxiety properties perfect for relaxation, so a calming lavender lotion is totally perfect to lather on before you go to bed. Plus making your own lotion eradicate the risk of all types of unknown and harmful chemicals commercial lotion has, making it is worth the effort. Our skin is our protection. We, of course, want what best for it. 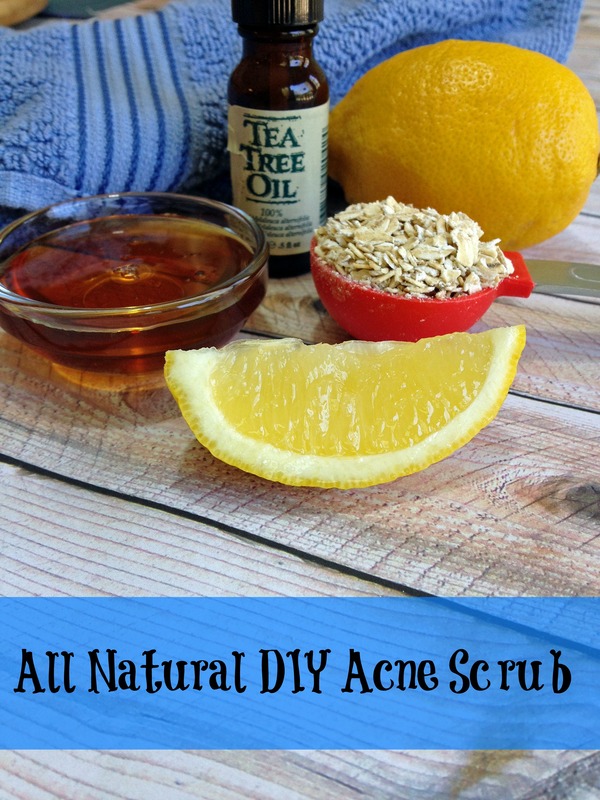 So check out the best homemade skin care recipes and start taking care of your skin naturally. I was really glad when I found this homemade lavender soap recipe with charcoal and mint. I get to discover a new technique in making soap, dancing funnel technique. It’s very amazing, after seeing my finish product, I was like oh, I can’t use it, it was so beautiful. But then, I can’t pass having the benefits of lavender, charcoal, and mint in my skin. You should try this! I miss having a cute baby around my homestead. When I was raising my children, all I got for them are effective and safe homemade products. I don’t want to risk the safety of my kids, if you too, then you must check out these 10 homemade baby products to make naturally. If you want a total natural makeover and you’ve got honey readily available in your homestead. Then, all you’ve got to do is make use of these 11 DIY beauty tips with honey and you’ll have the makeover you’ve been dreaming about. That’s it for now, my fellow homesteaders! There are lots and lots of homesteading hacks you can practice that will surely help to make your homestead better. I hope these 106 homesteading hacks I’ve compiled for you will save you time and hard work. If you are just getting started, I hope you gain some insight and a head start to make your homesteading successful. Which of these homesteading hacks will you apply in your homestead? Let us know how it went in the comments below. Do you want to know what you can do in your homestead this winter? Check out homestead indoor winter project to keep you occupied this winter!